Lesley was appointed Managing Director in April 2018, having been a Senior Associate since January 2016. She has expertise in managing complex multi-national programmes aimed at enabling collaboration between regional governments, multilateral institutions and the private sector. She has extensive experience in the fields of political risk, international investment and trade facilitation. While heading the NEPAD (New Partner for Africa’s Development) Business Foundation’s Southern Africa Business Forum (SABF), Lesley oversaw the Secretariat aimed at collaboration between the regional private sector and the SADC Secretariat and Member States. The SABF Secretariat aims at the delivery of economic projects along manufacturing value chains and trade facilitation across the regional transport routes in SADC. 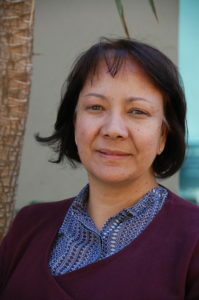 Lesley worked for the World Bank’s Multilateral Investment Guarantee Agency, or MIGA between 2001 and 2008 specialising in investment promotion capacity development and helping government agencies better understand FDI and political risk – in later years particularly in PPP projects in developing regions, in particular in Africa, Latin America and Asia and Pacific. She has also worked for South African think tanks, the SA Institute of International Affairs (SAIIA) and Africa Institute of South Africa (AISA). Lesley guest lectures on foreign and domestic investment for the Extended Learning Unit at the University of KwaZulu-Natal’s Programme on Trade, Invest Promotion and Economic Development. She holds an MBA from the University of Wales, a Bachelor of Social Sciences degree from the University of Cape Town, as well as investment promotion and PPP Course certificates from the World Bank and the Institute of Public Private Partnerships in Washington, DC.